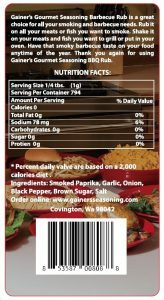 Gainer’s Gourmet Seasoning Barbecue Rub is a great choice for all your smoking and barbecue needs. 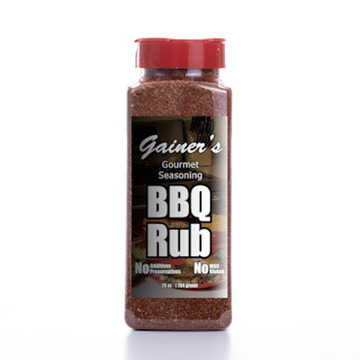 Rub it on all your meats or fish you want to smoke. Shake it on your meats and fish you want to grill or put in your oven. 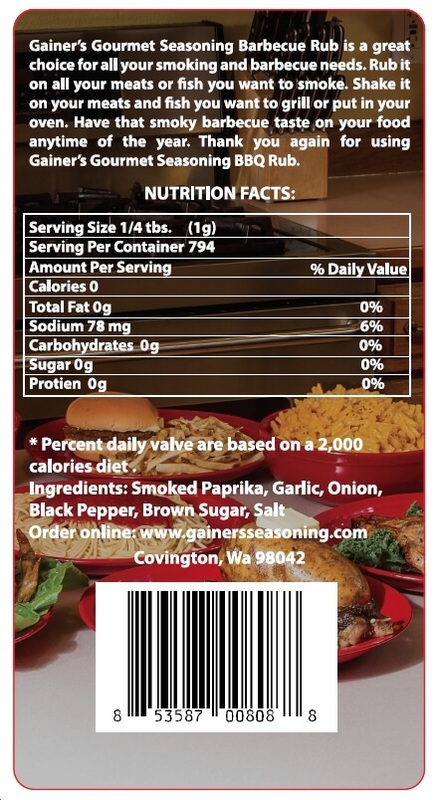 Have that smoky barbecue taste on your food anytime of the year. 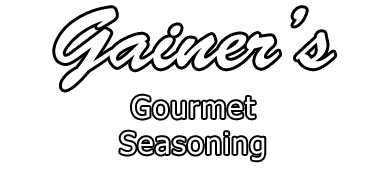 Thank you again for using Gainer’s Gourmet Seasoning BBQ Rub.